A CHRISTMAS CAROL: A GHOST STORY OF CHRISTMAS. 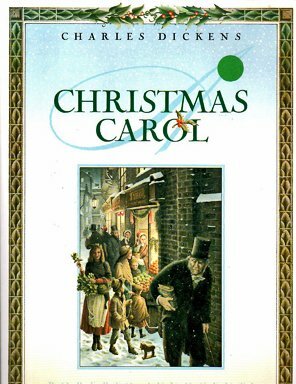 In the history of English literature, Charles Dickens's A Christmas Carol, which has been continuously in print since it was first published in the winter of 1843, stands out as the quintessential Christmas story. What makes this charming edition of Dickens's immortal tale so special is the collection of 80 vivid illustrations by Everett Shinn (1876-1953). Shinn, a well-known artist in his time, was a popular illustrator of newspapers and magazines whose work displayed a remarkable affinity for the stories of Charles Dickens, evoking the bustling street life of the mid-1800s. Printed on heavy, cream-colored paper stock, the edges of the pages have been left rough, simulating the way in which the story might have appeared in Dickens's own time. Though countless editions of this classic have been published over the years, this one stands out as particularly beautiful, nostalgic, and evocative of the spirit of Christmas. About Roberto Innocenti (Illustrator) : Roberto Innocenti is a published author and an illustrator of children's books. A published credit of Roberto Innocenti is All Kinds of Trains (Golden Look-Look Book). 9/22/2011 Gail Fattori said: I can't get through Christmas without reading this book.